Hope Elizabeth "Liza" Soberano (/ˈlaɪzə/ LY-zə; born January 4, 1998) is a Filipino-American actress. She started in a range of television series and films, including Wansapanataym (2011), Kung Ako'y Iiwan Mo (2012), She's the One (2013), Must Be... Love (2013). She rose to prominence after playing the protagonist Maria Agnes Calay in the romantic comedy television series Forevermore (2014–2015) with Enrique Gil. Since then, she has taken on starring roles with Gil in romantic comedy films Just The Way You Are and Everyday I Love You (2015), My Ex and Whys (2017), and the television series Dolce Amore (2016) and Bagani (2018). She is also named as Campaign Asia-Pacific's most popular endorser of 2017. She is confirmed to star in an adaptation of Darna as the eponymous comic book superheroine. Hope Elizabeth Soberano was born in Santa Clara, California, to a Filipino father John Castillo Soberano from Pangasinan, and an American mother, Jacqulyn Elizabeth Hanley. She was raised in Visalia, California, by her paternal grandparents when her parents separated. In 2008 at the age of 10, she moved to Manila to live with her father and relatives. Soberano is a Roman Catholic. She is a citizen of both the United States and the Philippines. At the age of 12, after moving to Manila, she was offered jobs to model for print ads. At the age of 13, a talent scout spotted her and was introduced to Ogie Diaz, who is her current talent manager. Since she could not speak Tagalog at the time, her talent manager encouraged her to become fluent in the language so she can land good television and film projects. Soberano made her acting debut in the fantasy-drama, comedy anthology Wansapanataym (2011). She then had a minor role as Claire Raymundo in the defunct afternoon series Kung Ako'y Iiwan Mo (2012). Soberano then played the role of Angel in Must Be... Love, Daniel Padilla and Kathryn Bernardo's premier movie. In 2013, she also starred as Gillian in She's the One with Bea Alonzo, Dingdong Dantes and Enrique Gil. A year later in 2014, she joined the primetime television series Got to Believe as Padilla's other love interest. Soberano's breakthrough came in when she received her first leading role in the hit romantic comedy television series Forevermore (2014) as strawberry farmer Maria Agnes Calay alongside Enrique Gil, who played Alexander "Xander" Grande III, a hotel company heir who eventually becomes Agnes' love interest. 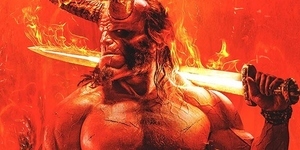 The series' finale had rating of 39.3%. The success of the TV series made Soberano and Gil gained popularity. Following the success of Forevermore, Soberano starred in the film based on the Wattpad book The Bet. The film adaptation, initially titled as the same name as its source material, and was renamed as Just The Way You Are (2015). In October 2015, Soberano and Gil then starred in a romantic drama film with actor Gerald Anderson, Everyday, I Love You, directed by Mae Czarina Cruz-Alviar. In February 2016, Soberano starred in the romantic comedy melodrama series Dolce Amore. She portrays Serena Marchesa, a young girl raised in Italy by her adoptive parents. Though she lives a good life, she cannot shake off the feeling that an important part of her identity seems to be missing. In August 2016, it was announced that Soberano had signed as the new face of Maybelline. In 2017, Soberano starred in the romantic comedy drama film My Ex and Whys opposite Enrique Gil. The film was directed by Cathy Garcia Molina, who had previously worked with them in Forevermore. The film was released in February 2017, grossing ₱31.5 million on its first day. And made her won the GMMSF Box-Office Entertainment Award for Box Office Entertainment Award for Box Office Queen. In May 2017, Soberano confirmed that she would star as Darna in upcoming film adaptation, which is set to be released in 2019. Angel Locsin was initially tapped by Matti to play the role, but backed out following a back injury. In December 2017, Liza placed 1st in the annual "Independent Critics List of the 100 Most Beautiful Faces of 2017". It was her 3rd consecutive appearance on the prestigious global list, having been 6th in 2015, and 2nd in 2016. In August 2015, she was included in The Philippine Star Lifestyle "29 Most Bright & Beautiful" list. Campaign Asia Magazine named Soberano as 2017 most popular endorser of the year. In 2018, YouGov an international Internet-based market research and data analytics firm in United Kingdom, listed Soberano as the No.1 most admired women in the Philippines. Often described by the media as "one of Philippine television's most beautiful faces", However Soberano said "I appreciated it, but sometimes that’s all they notice. I don't want them to remember me because I'm pretty." As for her, she wants to be recognized for her confidence and courage to take new roles in her career. 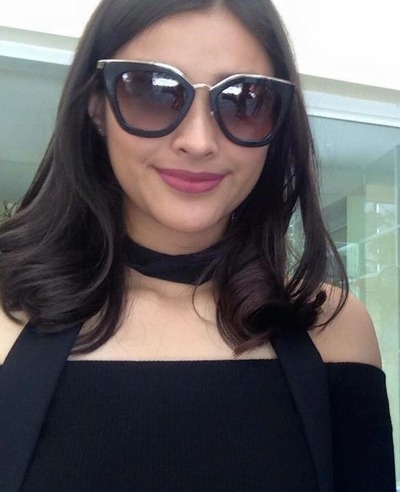 Despite being a relatively newcomer to the industry, Soberano has been described by critics as a talented actress. Soberano's performance in the film Everyday, I Love You received positive reviews from critics; Peter P. Asilo of the Philippine Daily Inquirer said: "Soberano’s acting choices may need more texture and refinement—but, at only 17, lovely Liza is quickly coming into her own as a fine actress!" Columnist Mario Bautista said: "We'll have no reservations in declaring that the prettiest, most refreshing, most captivating young actress." "Beautiful from any angle, she also acts competently, doing both her madcap as well as her dramatic scenes quite convincingly." "The camera just loves her and she doesn’t make any false move, whether she’s clowning around or getting to be so emotional." "She has an endearing screen presence and palpable charisma." while Abby Mendoza of Pep.ph, regarding her performance, said: "it is Liza Soberano who particularly stands out—which isn’t to harp on her beautiful face on screen. She is a natural who displays the right restraint, pleasing to watch all the more since she doesn’t try too hard."